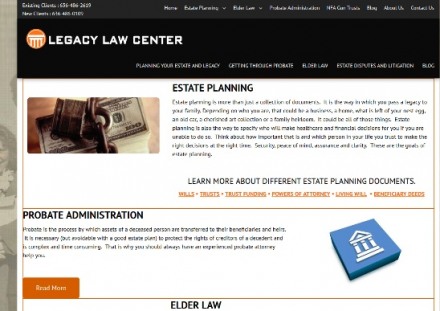 Legacy Law Center - Legacy Law Center focuses on Estate Planning and Probate matters for individuals and families in St. Description: Legacy Law Missouri. Estate Planning, Elder Law, Estate Litigation and Probate Administration Lawyers.